Google Adsense has been the number one choice for bloggers wanting to make money from their blogs for many years. But there are many excellent reasons to look for Google Adsense alternatives. Maybe you already have an Adsense account; you’re looking for alternatives because you’d like to keep your website income diversified, or because you’d like to add some additional income streams. Perhaps you’re looking for ways to earn more money from your ad space than you would be able to earn with Adsense. In our experience, this is not only possible, it’s likely with some of the alternatives we’re suggesting. Perhaps you’ve had a hard time getting approved for an Adsense account, or maybe you had an Adsense account that got banned. 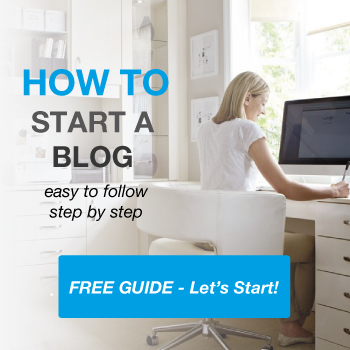 Whatever your reasons, you’ll be happy to know that there are plenty of fantastic options available for you to consider to help you make money online with your blog or website. We invite you to check out these ten viable, lucrative Adsense alternatives. Please note that Google AdSense is a contextual ad networking program, as well as display network ads. A few of the AdSense alternatives that I have mentioned below are not contextual ad programs. 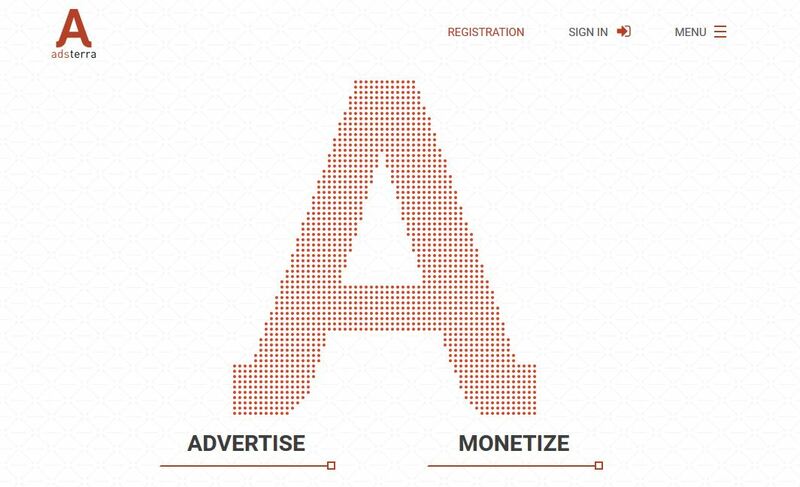 Adsterra is a slick advertising network with innovative ad formats and growing number of large brands using the platform. It’s a platform that I feel is the best Google Adsense alternative. It’s the fastest growing ad network and a well respected brand in the online advertising space. Adsterra provides an excellent solutions for both publishers and advertisers who want to try something a little different and away from the grasps of Google. Monetization of traffic is easy with Adsterra as the provide a user-friendly platform and give publishers a 100% fill rate along with industry’s highest CPM. Here’s some stats on why Adsterra is a serious contender as the best alternative to Google Adsense. They serve 10 billion+ ad impressions per month. – Two payment runs per month. Payment dates are 1-2 and 16-17 of each month. – Adsterra offers a wide range of payment options. Bitcoin, Paypal, Payza, Wire transfer, Webmoney, Paxum, Skrill and ePayments. Sovrn.com’s Meridian is a CPM (cost per mille) ad network that accepts publishers of any size. This network pays publishers per ad impression. When the network serves an ad to one of your visitors, you’ll get paid whether or not your website visitors clicks on the ad. Meridian allows you to set a minimum price for your website’s ad space. However, there might be times when this network can’t fill all your ad impressions, so they allow you to set up what’s called “backfill.” This means you can give them instructions for an alternative ad to display. If you have a Google Adsense account, you could use Adsense as backfill, which means that Adsense ads will display on your site at times when Meridian isn’t able to fill your ad impressions. You can also backfill with other ads. They pay publishers on a net 30 basis. The payment threshold is $25.00. Payment is by check, PayPal, ACH, global ACH, eCheck, local bank transfer or international wire transfer. Easy Monetizer isn’t an ad network. It’s a tool that allows you to automate affiliate linking so much that the process becomes as easy as monetizing through an ad network, which makes it a viable Adsense alternative. Usually, when you monetize with affiliate marketing, you have to pick products, build links, and maintain them. This is time consuming, unlike the process of using ad networks. The appeal of an ad network is its ease of use; the networks allow you to just paste a bit of code into your website and begin monetizing. Easy Monetizer allows you to get started monetizing just as easily; all you have to do is upload and enable a WordPress plugin on your blog or website. About three minutes is all the time it takes to set up Easy Monetizer. After setup, the tool will take over the chores of finding the best products to show your visitors, creating your affiliate links, placing the links where you want them in your blog posts, making sure the links don’t break, and making sure the prices displayed on your pages are all accurate. All this is possible because the tool is powered by Amazon.com’s proprietary algorithms. You’re probably already aware that Amazon.com has created one of the most impressive and sophisticated product suggestion systems on earth. You can tap into this system, and profit from it, by enabling the Amazon.com Easy Monetizer module on your blog or website. In our experience, Easy Monetizer converts well and is simple to use. 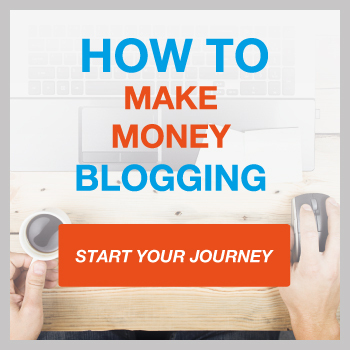 The plugin makes it easy to monetize a variety of different blog topics, and it works for publishers of any size. Easy Monetizer offers publishers a lucrative affiliate program that includes recurring commissions. Easy Monetizer does have an upfront cost. However, the cost is minimal and reasonable considering what you get for the money you spend. If your websites earn consistent affiliate commissions, this tool is a much better deal than competing tools that take a percentage of your earnings. You won’t have to give up a percentage of your affiliate commissions to use Easy Monetizer. It would also cost you much more to hire virtual assistants, freelancers or employees to handle the same tasks. If you are interested in learning more then check my guide to building your own Amazon affiliate website. OIO Publisher is a WordPress plugin that allows you to monetize your website by managing your own ads. It’s easy to use, although the setup process is lengthy. Once it’s set up, the plugin automates many aspects involved in the process of selling ads on your site. However, you will still have to recruit advertisers. There is an OIO ad marketplace available to help you with advertiser recruitment. The marketplace may bring you advertisers from time to time, but you can’t count on it to fill up your ad space. You’ll have to make an effort to reach out to advertisers on your own. If you’re a motivated salesperson, and your blog or website is attractive to advertisers, this tool offers many advantages that make it an excellent Adsense alternative. You receive upfront payment from advertisers, without having to wait for payouts. You won’t have to share any of your earnings with a network. You don’t risk getting banned or having your earnings reversed. You can negotiate directly with your advertisers, and form relationships with them. There is an upfront cost for OIO Publisher. For motivated publishers, we think this tool is well worth the price considering the great value you get in exchange. OIO Publisher also offers an affiliate program. If you build ordinary links to qualifying products on your website, Viglink converts them into affiliate links you can earn money from. They maintain relationships with merchants. In exchange for their services, they keep a percentage of your commissions and then pay you the rest. Depending on the Viglink service you use, they may keep either 25% or an undisclosed percentage of your earnings. They pay publishers on a net-60 day basis. The payment threshold is $10.00. Payment is by PayPal, with no additional fees. 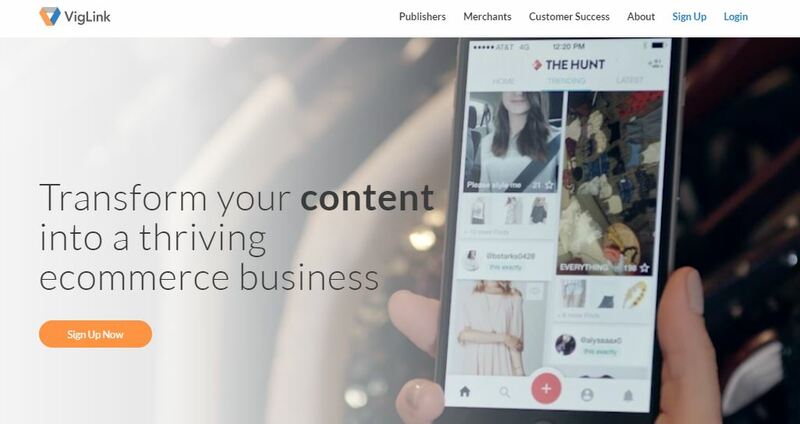 Skimlinks is a platform offering publishers some different options for monetizing e-commerce focused content, all of which are performance based using the affiliate marketing business model. A few of these options are “Skimlinks”, “Skimwords Lite” and “Skimwords Full Version.” These tools give you the option to either convert existing product links into affiliate links, or to automatically insert affiliate links into existing content. They pay publishers on a monthly basis, but it can take each individual commission up to 90 days to clear. The payment threshold is $10 / €8 / £7. Publishers in the USA or UK can choose to be paid by check, direct deposit or PayPal. Prosperent is an affiliate offering other publishers the opportunity to become sub-affiliates under their account. They keep 30% of commissions for small publishers, and 20% for larger publishers. In exchange, they maintain the relationships with merchants. They also offer their publishers tools and resources that can help to simplify the process of affiliate marketing. They pay publishers on a net-30 day basis. Payment is by Payoneer or Paypal. Blogher is a CPM ad network. Their specialty is monetizing blogs targeted at a female audience. In addition to advertising, they also offer publishers additional opportunities such as sponsored posts and paid product reviews. They pay publishers 45 days after a the month ends. The payment threshold is $20. Bidvertiser is a cost per click ad network that also offers conversion incentives to publishers. Bidvertiser offers a referral program which pays for referrals of both advertisers and publishers. They pay publishers 30 days after a the month ends. Payment is by PayPal or check. The payment threshold is $10 for PayPal, and $100 for checks. Infolinks offers several monetization options to publishers. They have an intext option that takes your existing content and inserts text ads into it wherever they have an appropriate ad to show your visitors. If a visitor’s mouse hovers over the text link, an ad will pop up for the visitor to view. They pay publishers 45 days after a the month ends if the applicable payment threshold has been met. Payment is by PayPal, Payoneer, Western Union, Echeck or ACH (for publishers with bank accounts in the USA). The payment threshold depends on the payment method you choose. It’s $50 for ACH or $100 for wire transfers or Western Union. Media.net is a contextual ad network and a direct Adsense competitor operated by Bing and Yahoo. The payment threshold is $100.00. Payment is by wire transfer or PayPal. I have tried all the above ads network.. Qadabra was the best among all but they have started the new scam of ignoring all Asian traffic.. I tried many other networks but finally I have found the best among all and it is the Propeller Ads network, which is basically a network from UK. It has been paying me $20-$30 per day for my 3000-4000 daily visitors, even-though I have just posted 3 ads on my site. Does it approve health and fitness sites becaus ei have heard that propellerads approves only games videos sites, ? Also i use tribaladnetwork.com. I earn around $0,23 per click. Great post Jamie ! Im personaly using Revenuehits and im totaly sure that is the best adsense alternative until now. I am using Adsense from past 1year. I have a website having 300 views per day. But my revenue from the site is very low. So I am thinking of moving to another ad network. Please suggest me some nice ad network suitable for my website. I have been using Admush Network since 2016. And i haven’t seen such a good network in making more money from websites or even from facebook pages. Really this network is great. Google adsense is the best adnetwork among all the ad networks. But its always good to have alternatives to google adsense. as google adsense is very strict, there is always a chance of ban of accounts for many reasons. Hey, Jamie. This is a great list of some other ad networks on the internet. I use media.net and infolinks on my niche blogs and they working out really good, so far. Other than that, Amazon native shop is a good alternative if you’re targeting buyer intent keywords on the blog and having Tier1 traffic on blog. Good post. But none of the ad network is not as good as adsense. adsense is totally different. But when it comes to alternatives, Media.Net is the best option to choose. True, but sometime it’s good to mix things up and create additional revenue streams. Being too reliant on one network is not good. That’s why I always promote finding additional affiliate and ad income streams. For me personally, I like to attract organic traffic rather than paid sources. It takes more time, but in the end you’ll reap the benefits, as its free traffic. A great list. I personally use revenuehits in my blog. I am thinking to use propeller Ads. Is it good? I feel that Chikita.com is more helpful in explaining for the new bloggers. I currently use yllix it is not on your list. At moment I am satisfied because they have really lot of options for placing ads and lot of different advertisers, but I am always ready for change if someone convince me that I will get more with some of above. AdSense is the best, it always looking good, I have tried many ads network , Media.net is worse if you have no USA or Canada traffic, Infolinks is better for Indian Traffic also, Chittika is showing Google Ads but not recommend by me. Media.net is the best alternative for Google Adsense, CPC betwenn 0,10 $ – 0,90 $ per click are possible. But I am using both on my site and I don’t get any problems with Google. Thanks for the suggestion Patricia. I will check it out. Found something different here. All other blogs suggested media.net is the best alternative. But don’t know about Meridian, Easy Monetizer & OIO Publisher. I’ll try them. Thanks for sharing valuable information. You’re right, Media.net is a great alternative to Google Adsense, but I would check out a few of the others as they all offer something different. You could also look at Adflare – http://www.adflare.com. That uses header bidding and can work better than AdSense alone. Thanks For the great information on Adsense Alternatives. I am using ADSTERRA , Eleavers and StudAds advertising network. I am getting paid each month. Thank you once again. 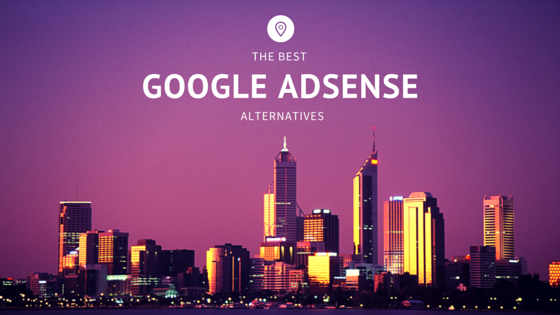 According to me, there are no other alternatives like adsense for good revenue. Adsense gives more than any other. I have experience with Infolinks on my website having many visits per day still there is not much revenue. Btw, thanks for your article.